Fenton finally addressed the coaching situation Tuesday, confirming that Boudreau will return for the final season of his contract. It's not a particularly surprising call, even if common sense suggests that a new GM might want to install his own guy behind the bench. 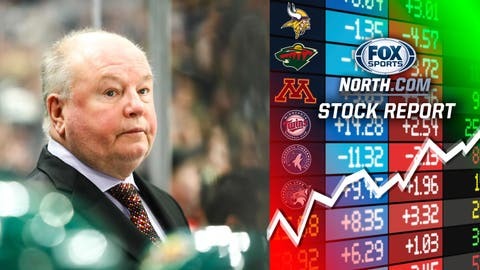 Long known for his regular-season consistency, Boudreau teams have missed the playoffs just twice in his 12 seasons as an NHL head coach: 2011-12, when he was fired and rehired midseason, and 2018-19. Fenton made some strong statements during his season-ending press conference Tuesday, notably suggesting that he plans to keep his draft picks and spend in free agency. A few hours later he suffered a minor defeat during the NHL's draft lottery, where the Wild -- through the arcane process that determines the No. 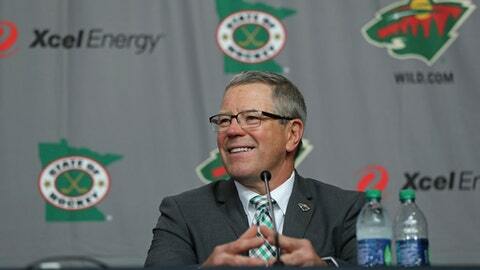 1 pick -- fell from 11th to 12th, while watching the rival Chicago Blackhawks land the third overall pick. Fenton should still have plenty of options midway through the first round, but it's a tough break for a team looking to restock a pipeline run mostly dry over the past few years. Wiggins has struggled mightily at times this season. He's shooting 41 percent from the field, and averaging 18 points on 16.5 shots per game, hardly max player numbers. He's had a few gems down the stretch however, including a respectable line in the Wolves' loss to the Oklahoma City Thunder on Sunday. 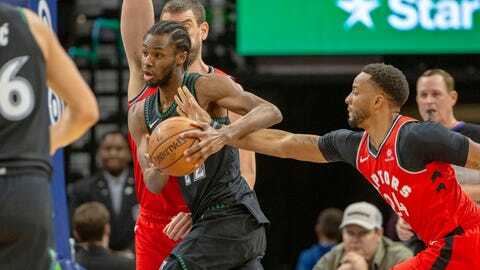 Wiggins went 9-for-15 from the field and 3-for-5 from deep, finishing with 24 points, five rebounds, four assists and two steals. 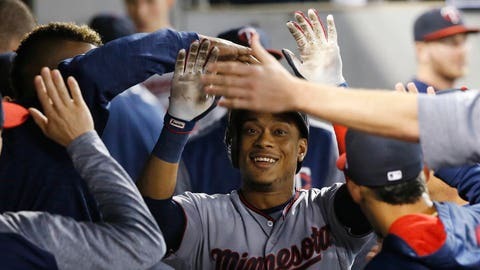 Just five days after hitting for the cycle in a loss to the Philadelphia Phillies, Polanco was back at it Tuesday in a 14-8 win over the New York Mets. Polanco came up a double short of the cycle, going 3-for-5 with a single, a triple and a home run. 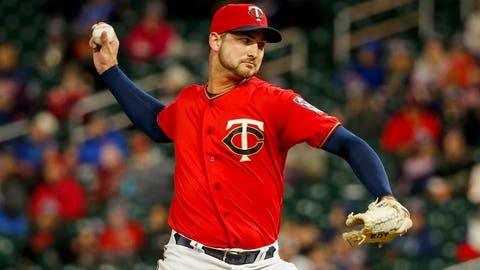 De Jong joined the Twins last week after starting the season in the minors. He made his first appearance of the season Tuesday, and was promptly shelled. De Jong faced nine batters in the ninth, allowing four earned runs on three hits, three walks and a home run, throwing a whopping 46 pitches before ending it. Hopefully that 36.00 ERA comes down eventually. La Tortuga has struck out. 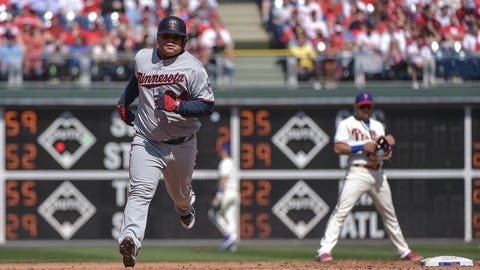 Astudillo finally struck out Tuesday night against the Mets, six games and 18 at-bats into his season. He hit a single in the third and is slashing .421/.455/.737 on the season, but, you know, wow.